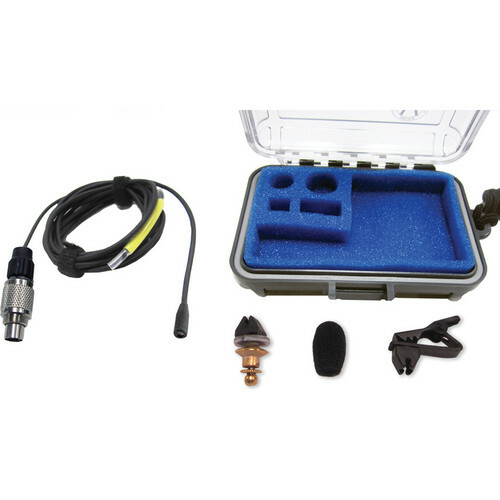 The black Voice Technologies VT403 Lavalier Microphone for Audio Ltd. is an ultra-miniature Hi-SPL microphone that is fitted with a Binder 5-pin connector for use with TXPH (En2) wireless bodypack transmitters. This water- and perspiration-resistant microphone is fitted with a subminiature microphone capsule and has high electromagnetic interference protection. The VT403 has very low inherent noise and low distortion for high sound pressure levels. With an open, moderate rising HF response, it is well-suited for vocalists, stage performances, sports, and under-clothing placement. Box Dimensions (LxWxH) 7.0 x 7.0 x 7.0"